SciTechsperience is pleased to present the second installment of Where are They Now, a blog series featuring interviews with past SciTech interns currently working in their fields at Minnesota companies. 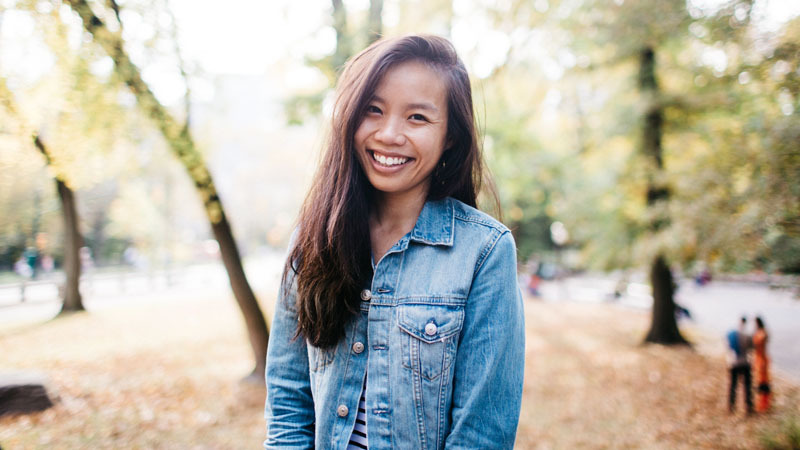 This Q&A highlights Annie Tran, whose SciTech internship led to her being hired as a full-time web developer with Software for Good. Tran graduated from the University of Minnesota in May 2018 with a degree in computer science. Tran: I didn’t really know that much about web development going into the internship, so I was kind of starting from scratch. But Software for Good was really helpful. They were very understanding and good about teaching me the basics and trying to relate it back to my education. I worked with three other interns on one project, it was a client project called Goodfolio. We also worked a lot with our coordinator Eddie, who was our mentor for the summer. What was the process like working on the Goodfolio assignment from start to finish? Tran: I was hinting to Eddie that I didn’t have any plans after graduation, so I think he passed on the message to Casey and gave his opinion of me and whether or not I should be hired. And Casey is really casual so he just told me about the position. It was more informal than anything. How did that feel? Graduating and then immediately having a job secured? Tran: Unbelievable. I was kinda in awe that it actually happened. I thought I was going to be unemployed for a bit to figure out what I wanted to do. But I got really, really lucky. Talk to me about the overlap of responsibilities from your internship to your full time job. Tran: When I started full time, they didn’t just throw me into a bunch of projects, they kinda gave me smaller things to work on that were very similar to what I had done during my internship, just in different languages or on different platforms. And I still received the same amount of mentorship. Everyone was still willing to walk me through anything I needed help with. And now, I’m working on more projects but, it’s all about the same. What did you carry over from your internship and what’s new about your job? Tran: There’s been a lot more work with Ruby on Rails, and I’ve gotten more experience on front-end technologies, like React, Java Script and some WordPress experience as well. Talk to me about your future, both in this industry and at Software for Good. Tran: I hope to get better at what I do. I think what’s really special about software engineering is that you’re constantly learning, and there’s just so much that you can learn. I’d like to someday be that mentor to younger, less experienced engineers. For more success stories in the Where are They Now series, check out Research Technician Danny Pavek, a SciTech intern turned full-time employee at the Hunt Utilities Group in Pine River. The 2018-2019 program year officially started the first week of September. Interested companies, employers and students curious to learn more about the SciTechsperience Internship Program can check out SciTechmn.org and apply online. There’s no fee, and applying is easy.